Shows aren’t suppose to be good after 15 years. Survivor is the exception. I really try my best to not get sucked into Survivor. Shows aren’t suppose to be good after 15 years. Heck…most shows aren’t good by the middle of the first season. The year 2000 was the first season. I missed the first episode, but within days a serious buzz began to start. There were other reality shows before Survivor, but this took the whole thing to another level. I began watching from episode #2 of season #1…and have scene almost every episode of all the season ever since. Here’s my favorite scene from the first Season. There is something just really compelling about it. I can’t put it into words. I guess what I like about it is just when you think someone is gone, a move is made to change the entire game. The other thing I love is when people get cocky and then get voted off. As soon as someone becomes a leader and doesn’t “blend” they are in trouble. I’m not sure why so many contestants don’t understand this. The winners are always low-key and come off as humble and non-threatening. The craziest season in 15 years was Season 2: The Australian Outback. This was the season that Tina won…even though Colby won most of the challenges. What made it intense, was that they almost literally starved during this season. I think the producers of Survivor changed the game to be a little less intense after Season 2. If you have never watched Survivor and want to try out one season, this is the one you will want to watch. Survivor also has the best host of any reality show. 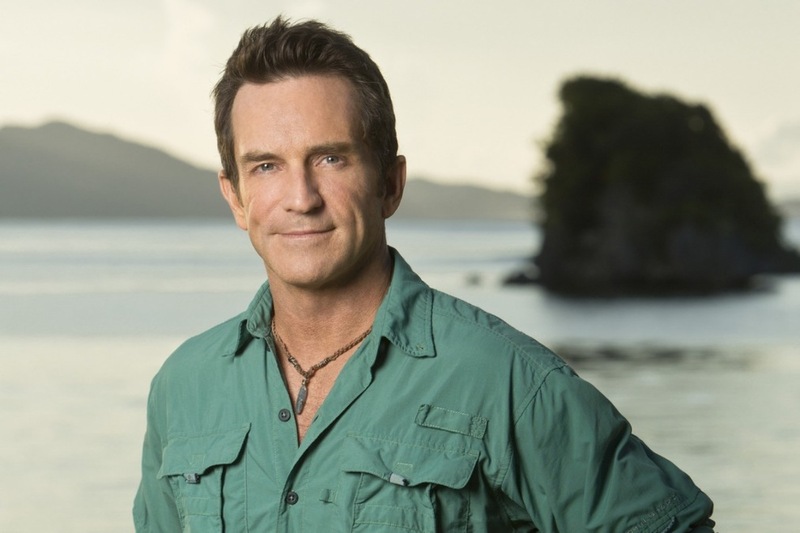 I’m pretty sure that Jeff Probst is a vampire. He hasn’t aged a bit in 15 years. I’ve seen Jeff Probst in interviews and he is quite possibly one of the coolest human beings on TV. He is simply a really good guy. When will Survivor become dull? I don’t know. I thought I would have been burnt out by now, but it is simply the best reality show on TV. In some ways it is almost like watching your favorite sport. It never really gets old. If it is still on the air in 20 years, I’ll still be watching.